This is a sponsored conversation written by me and on behalf of Dr Pepper®. The opinions and texts are all mine. 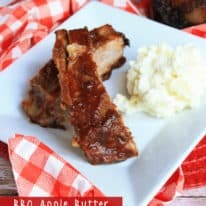 These Slow Cooker Dr Pepper Ribs are the BEST RIBS EVER! 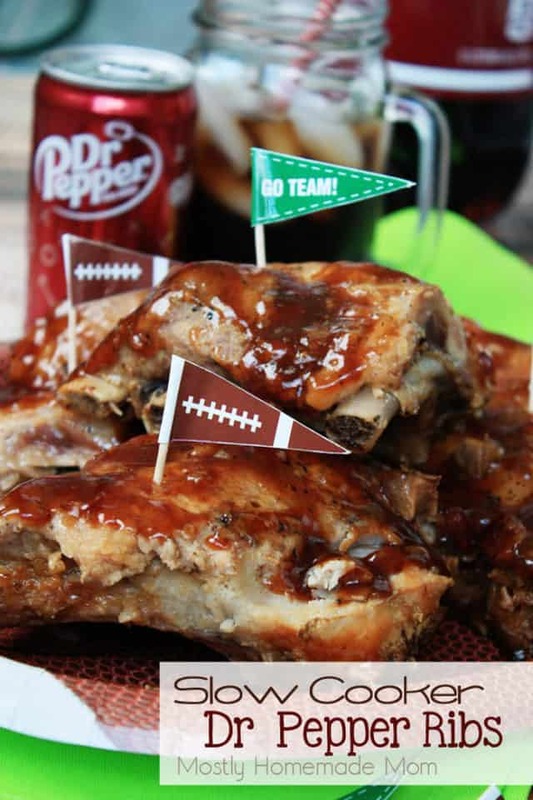 Pork spareribs slow cooked in Dr Pepper and seasonings, then topped with BBQ sauce – your new favorite tailgating recipe! Ok everyone, here it is – my BEST EVER ribs recipe – these incredible Dr Pepper Ribs! Here in the Miller Family, we’ve become quite picky about our ribs. We are usually tempted when we’re out at a BBQ restaurant to order the ribs, only to be disappointed with ribs that are usually too dry or have way too much sauce on them. 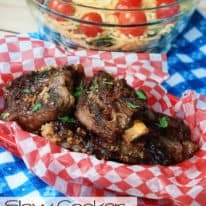 I’ve tried many, many pork rib recipes in my kitchen and I can honestly tell you – this recipe for Slow Cooker Dr Pepper Ribs is my all-time favorite. 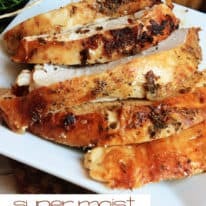 They turn out extremely moist and juicy with just enough holding it together so that the meat doesn’t just shred to pieces. 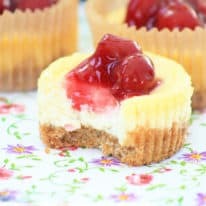 We all absolutely went nuts for this recipe! 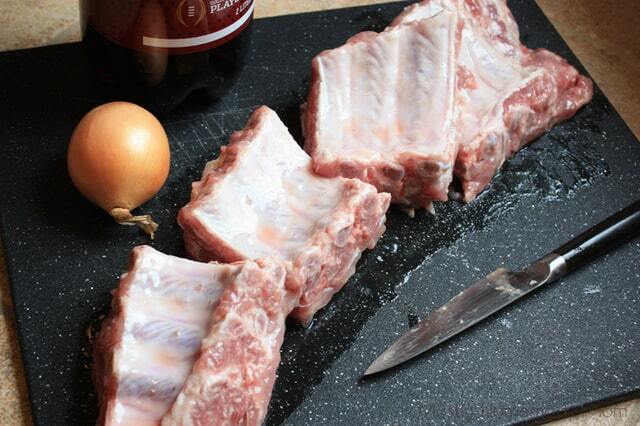 Start with 2 – 3 lbs pork spareribs and slice it into about 4 large sections. It gets a little difficult cutting around the ribs, but just feel for where the joint is and it should slice with no problem. 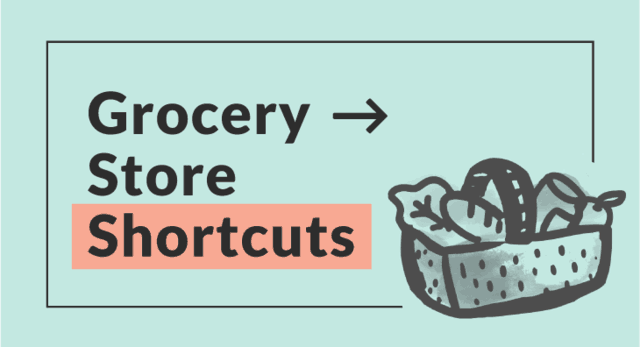 This is really key to make sure as much of the rib meat is covered in the soda. In goes that sweet Dr Pepper! About 2 cups should do it, just make sure to put enough in that it’s cover the ribs about half-way up leaving the top of the ribs exposed for the seasonings. Dr Pepper has been a favorite soda of mine since my college days – I just can’t get enough of that flavor. 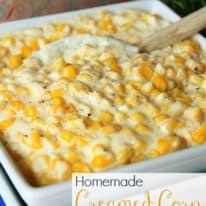 It works so well with these Crockpot ribs as well! Dr Pepper Ribs … napkins required! 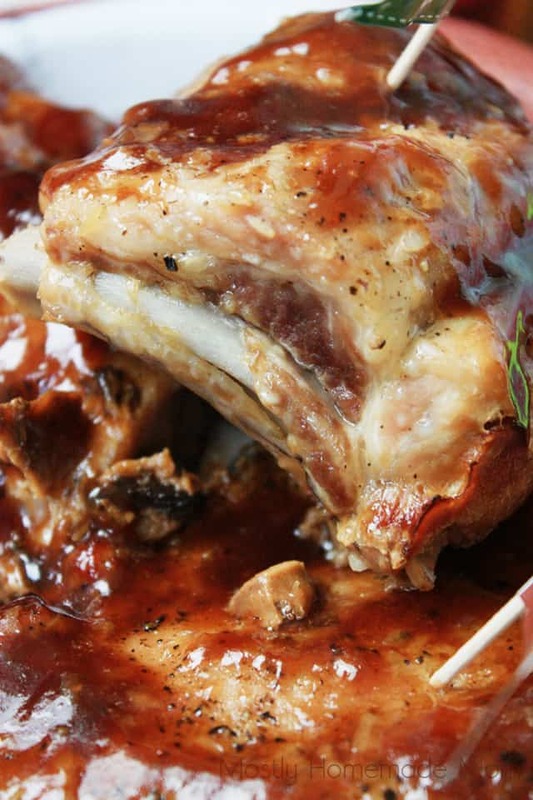 When they’re done in the Crockpot, use your favorite BBQ sauce sparingly. You can always add more, but you want the sweet juicy flavor of the pork to shine through! You honestly won’t need all that much sauce, but feel free to serve plates of these ribs with a small ramekin of BBQ sauce for dipping. 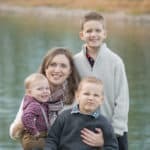 You absolutely will need napkins for these guys! These Slow Cooker Dr Pepper Ribs are the BEST RIBS EVER! 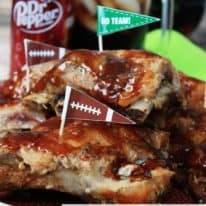 Pork spareribs slow cooked in Dr Pepper and seasonings, then topped with BBQ sauce - your new favorite tailgating recipe! Cut pork ribs into 4 smaller pieces and fit them, bone-side down, into the bottom of a slow cooker. 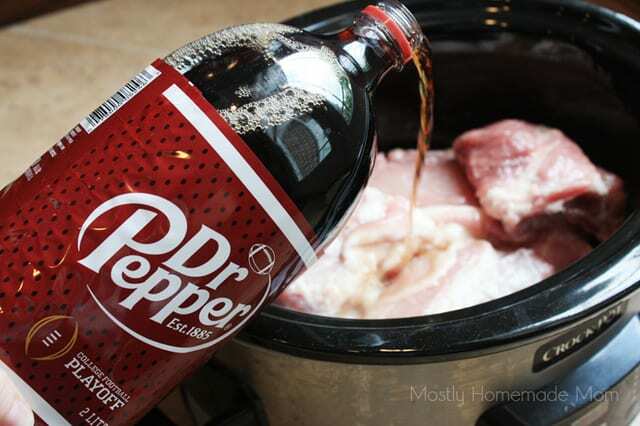 Pour Dr Pepper over ribs. Sprinkle garlic powder, minced onion, pepper, and salt evenly over ribs. Cover and cook on high for 4 hours or on low for 6 - 8 hours. Remove ribs onto a serving plate and allow to rest for 5 minutes. Spoon bbq sauce evenly over ribs. Serve immediately. I honestly wish you could reach through your screen to taste these amazing ribs – you will never try another recipe again, I’m telling you! We have a few Sunday Night football gatherings at my parent’s house in our future that I’m absolutely certain these juicy ribs will be enjoyed. Don’t forget icy glasses of Dr Pepper along with the ribs! I was able to grab all the ingredients for these ribs during my latest grocery store shopping trip through my local Giant Carlisle store. The Dr Pepper I used with this ribs was located in the soft drink aisle of my store. I’m sure my family would laugh if they read my comment on there that it’s really convenient to be able to grab these items at Giant as it’s literally across the street from our house! 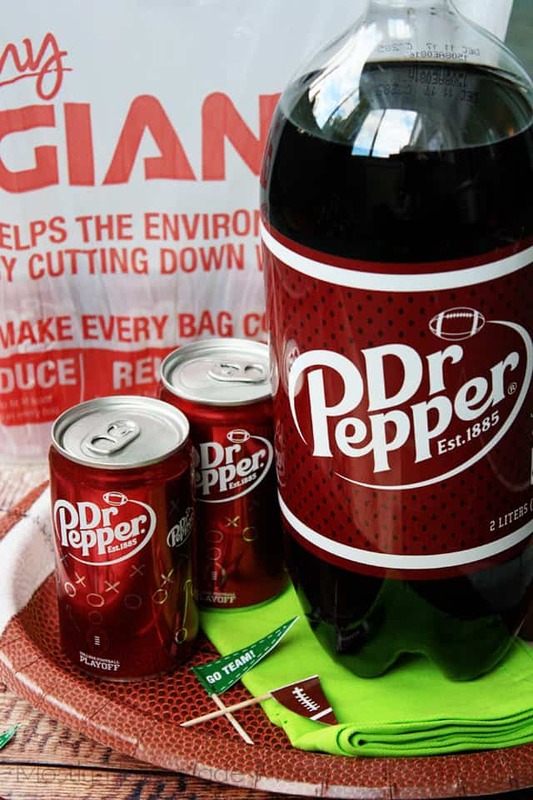 Be sure to stop over at your local Giant for all your tailgating needs this football season. 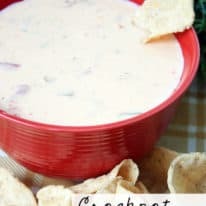 What tailgating recipe are you planning on trying this year? 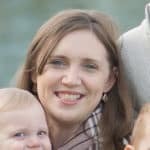 Leave your ideas in the comment section below, I’d love to hear from you!